Berta Gonzalvo, Aitiip research director and project coordinator, participated in this congress organised by Plastipolis in Lyon (France) on July 5th. This first European congress on eco-plastics combining challenges of sustainable, smart and safe materials gathered European and international leading experts about sustainable development and circular economy. 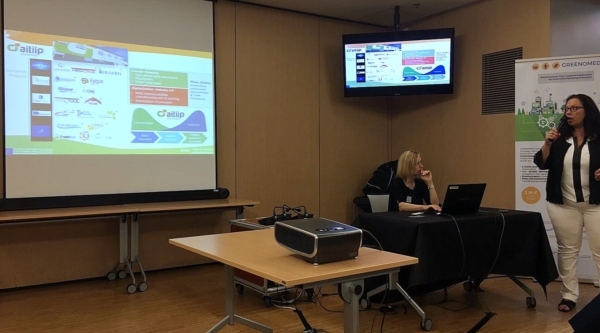 Berta participated as a key speaker with the lecture “Citruspack: Revalorization strategies within the circular economy for the use of citrus waste in green packaging and cosmetics”.